The excitement of travelling to a new country fluttered around my stomach. Seeing new places is something I live for. Im curious to learn about new cultures, see new sites and wonder at the world at large. So you can imagine how I was feeling as I stepped off the aeroplane at Kuching in Borneo. I had heard of Borneo before but had never really known much about it. Truth be told, I had to look on a map to see where it was located. For those of you wondering like I was, it sits above the western side of Indonesia in the south china sea. Comprised of three countries Bruni, Indonesia and Malaysia. There are lots of beautiful places to visit in Borneo and to be honest you don’t have to go far. I visited Sarawak the south of Malaysia. 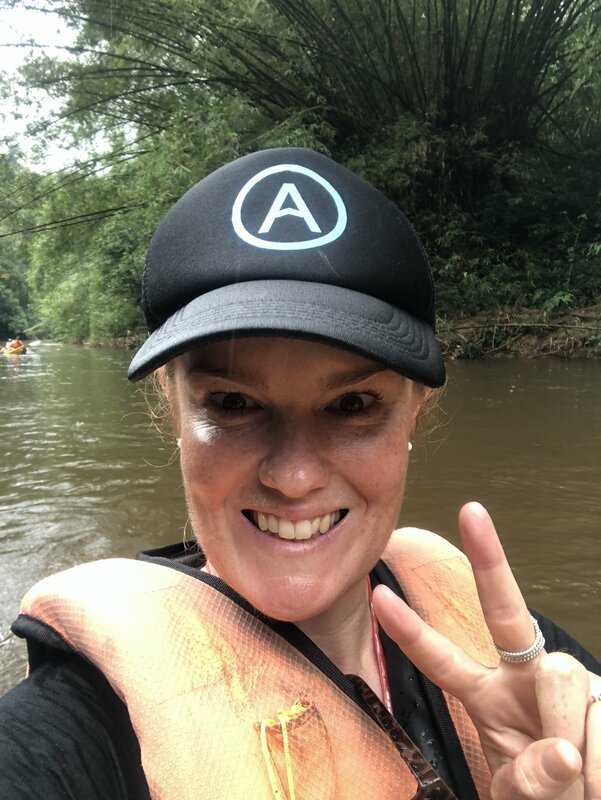 Our first activity was river kayaking in the middle of the rainforest. Upon arriving it was picture perfect. The water was crystal clear, the lush rainforest surrounded us and the sun shone through the canopy with clear blue skies overhead. The half day adventure took us cruising down the river with rapids, sheer rock faces and giant, jurassic park like plants lining the river. We encountered a downpour, and experienced the true ‘rainforest.’ A feast for the sences. Like what we saw with kayaking rainforests (that still exist) are phenomenal. We ventured into Kubah national park walking through the lush dense plants. At the end of the trail was a spectacular waterfall and a chance for us to swim in the rockpools that sat below. I was sceptical that we would see Orangutans. Critically endangered due to deforestation in Borneo to make way for palm oil plantations, these guys are highly intelligent and share 97% of their DNA with humans. We were in luck. Arriving at feeding time, the rangers were calling them in and at our first lookout we saw mum and bub swing on down to collect the bananas and coconuts left for them. We also saw a few of the males hanging out observing the tourists as we stared back at them amazed and their beauty. We arrived at the end of monsoon season. Sadly this meant we got to see the devastating effect that plastic is having on the earth and in particular the ocean. Upon arriving at Kampung Siru community, 2 hours from the city of Kuching we took a walk around the village, and of course visited the beach. Lined with plastic and rubbish you could hardly take a step along the tide line without treading on some sort of rubbish. There were plastic bottles, containers, shoes, bits of rope and we even saw a syringe. The picture says it all. This planet and our oceans are being destroyed because we are obsessed with consumerism and careless with our waste and product choice. This simply is not sustainable if want to continue to live abundantly on earth. Perhaps what opened my eyes the most is how much palm oil farming and plantations are impacting Borneo. Once outside the city, you only have to drive 5 minutes before you see a oil palm plant, which is normally not one, but an entire plantation. 80% of Borneo’s rainforests (where our Orangutan friends live) have been cleared to make way for this plant. Road upgrades are taking place to ensure traffic can reach all the communities and farming plantations. The country is thriving off this industry. We stayed in 2 remote communities, both of which all households had one (if not two) good quality cars, flat screen TVs, the latest appliances, electric guitars with speakers and amps to match and air conditioning. These places were not ‘in need’ by any means. But as we zoomed out on google earth to see the devastating effect that these plantations are having on Borneo I wondered if it’s too late. 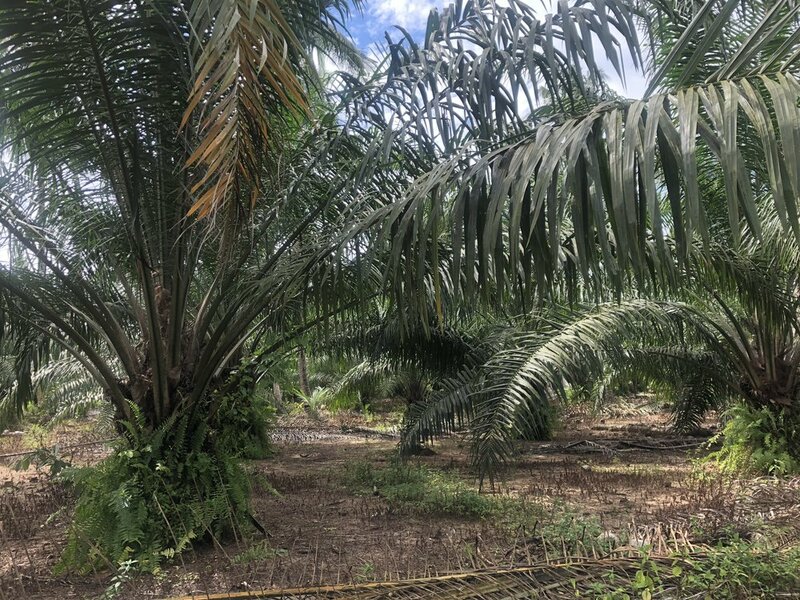 This farming is not stopping and palm oil is a product in practically everything we consume...soaps, laundry liquid, chocolate, cereal, bread and biofuel to name a few. Palm oil also hides in the ingredients list under 300+ names including vegetable oil, glycerin and sodium-lauryl-sulfate. Soon our orangutan friends won’t have anywhere to live and they will become extinct. This is the price we pay for excessively planting and consuming products that contain palm oil. Since Malaysia is the world's largest exporter of Palm oil, the country is coming into a lot of money, which is being put back into the community. Around Kuching we saw hundreds of apartments style buildings built, half complete and vacant. Seems like a waste to me. No one to occupy these homes yet the construction keeps going. I understand I only visited a small part of Borneo and there is much more to see and a ‘fuller’ story to be told. However if this is what I have seen and been exposed to, during my 10 days in Borneo, it scares me to think of what I might uncover if I dig a little deeper. What can we do to start making a difference? It starts with the reduction of consumption of plastic and palm oil. Spread the message by being and example. Create conscious, awareness around these issues. Borneo, don’t get me wrong, you are beautiful, but if we are not careful your natural environment will be gone forever. How travel makes you grow and what I learned in China. Newer Post4 bad habits to ditch after long term travel. Older PostPrepare yourself to return home after a big trip abroad.